The above Crop Calendar (some folks call it a Harvest Guide or Harvest Schedule) was obtained from the New York State Department of Agriculture website www.agriculture.ny.gov. You will find Pride of New York listed under Programs. This site is a wonderful source of information regarding agriculture. 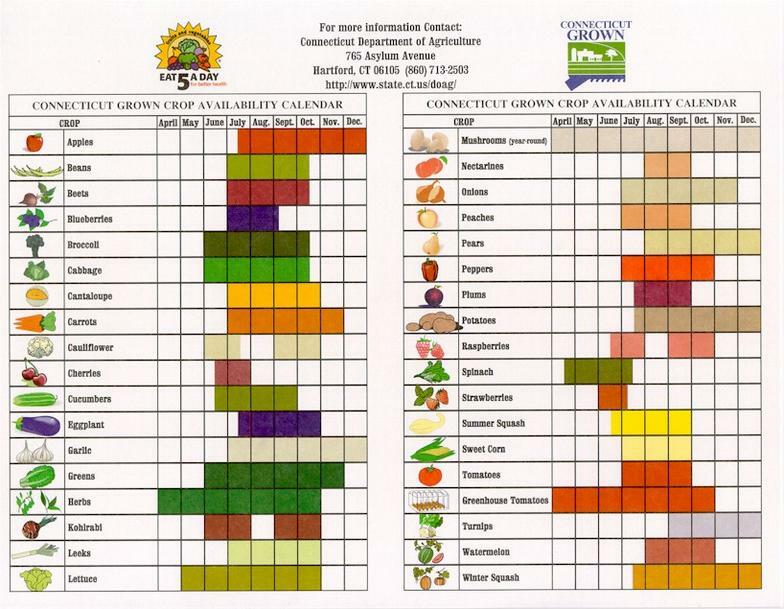 The direct link for this crop calendar can be found at www.prideofny.com/harvest/html.